How did Certifed Celebrator come to be…. A little over 5 years ago Brittany had her little boy and became obsessed with creating memories for him and her whole family. She picked up a jar of Valentine’s Day sprinkles from the grocery and put them on top of frozen breakfast pancakes! Little did she know that something so small and simple would become a holiday tradition that her family would look forward to many times throughout the year. From there she started planning over the top parties for friends, family, and her social media following. 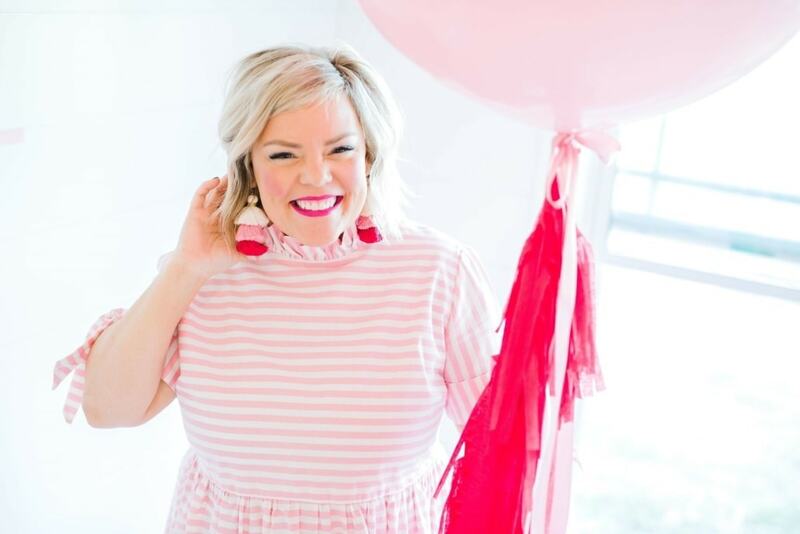 She quickly realized she wasn’t the only busy momma wanting to throw a party and create family memories on a realistic budget. 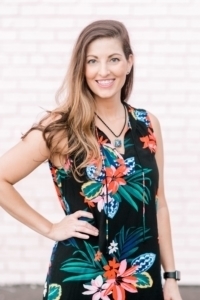 Brittany is not a professional event planner… just a girl who loves to celebrate the people in her life by bringing them together around a perfectly decorated home. 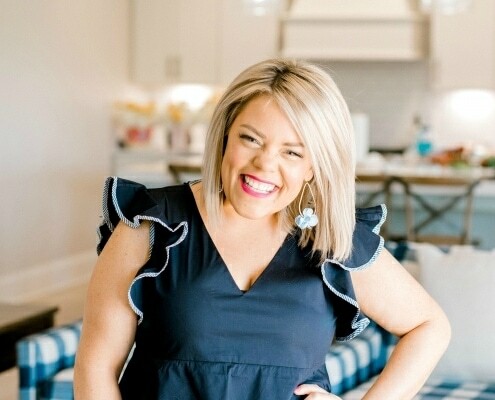 She encourages and inspires women all over the world to do the same by sharing her entertaining tips, parties, and giftie ideas on her blog. 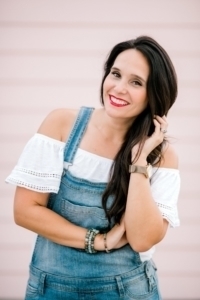 Brittany’s parties have been featured on The Rachael Ray Show, Hallmark Channel’s Home and Family, Southern Living, Pickler & Ben, Country Living Fair, and Nashville’s Talk of the Town! 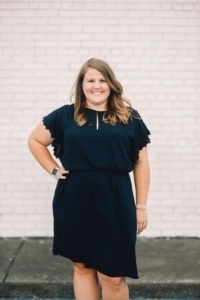 Brittany’s heart is set on encouraging women to intentionally celebrate the people in their lives and build joyfully celebrated homes! Meet our Pawty Expert, Howard! He’s been with Certified Celebrator furever - from the very beginning almost 9 years ago! He was brought on as the mascot but Brittany quickly realized his potential was much more. 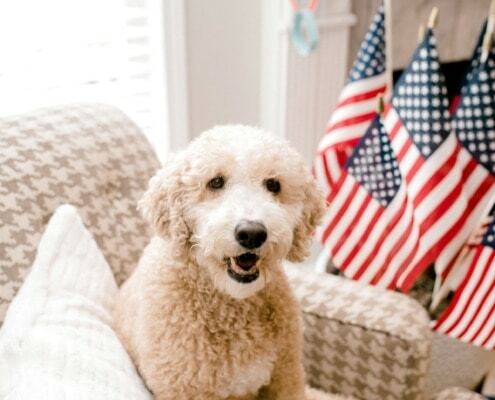 You can usually find Howard napping under the desk, snoring on the couch, or begging for a bite if a photoshoot is going on! Jennifer and Brittany work hand in hand creating content for brands, the blog, videos, and THE BOOK! Jennifer leads the vision and sees each project/party through. She will develop anywhere from 3-6 Creative projects a week! She is 100% responsible for maintaining Brittany’s sanity and keeping her on track for long-term goals. Julie Hall of Julie Hall Photography AKA the Certified Celebrator Photo Pro! Julie is the magician - Always making us look pretty and put together even on our craziest, most hot mess days. She keeps us creatives on track and she is always up for a little old school rap music throw down. Word! 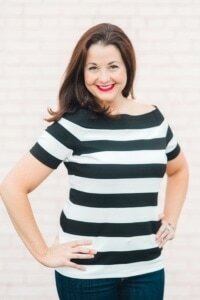 She’s the backbone of all our written content and makes us always sound smart (and sassy!). Casey was the very first employee of Certified Celebrator and Brittany swears it was one of the best decisions she’s ever made. Krista pours her heart into the monthly digital magazine “Celebrate with Sprinkles.” She’s constantly taking Brittany’s crazy visions and turning them into amazing graphics and dreamy doodles! Meko is the brains behind the website, membership sites, and emails. She is #1 on the speed dial for ALL THE SMART & TECHY things. We give her all the credit for our incredible growth in the online world. You will find Tina everywhere. She wears many hats and fills a variety of roles. She’s usually the one answering questions - which is a full time job in itself! !